By Sarah Harvey, UK Lead for Square. Back in July the UK economy hit a landmark: for the first time ever, more than half of all purchases were made by card, not by the coins and notes that have traditionally been the way we paid for items. It was a historic moment in the emergence of a society where cash is no longer king. And it shows just how quickly our economic landscape is transforming. This is one of the reasons why Square was founded. Consumers tell us that cards are simply easier and more convenient than paying with cash. 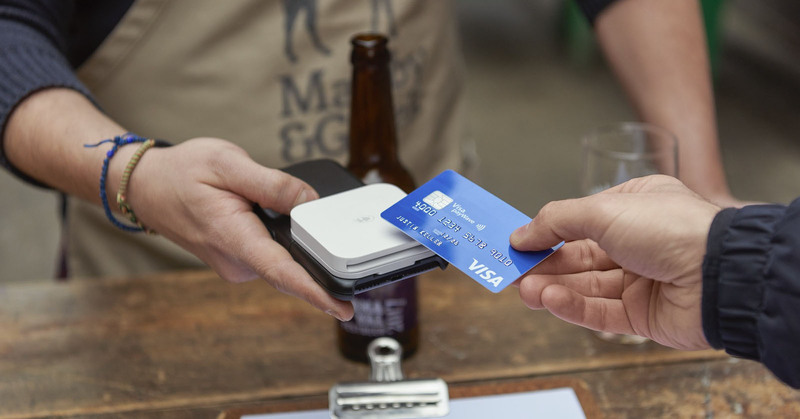 If we can help every company – especially small firms and startups – accept card payments, then we can help make commerce easy and allow a broader community of sellers to grow their businesses. In the UK we’re still in the very early stages of making this a reality. Our research has found that, remarkably, up to three million British small businesses today still do not accept card payments. This seems hard to understand when so many shoppers positively want to pay for things by card. With this in mind, we wanted to look into UK consumer behaviour and attitudes towards cash and card payments in more detail. To help us do so, we commissioned a survey of over 2,000 consumers around the UK and asked them a series of questions about their spending habits. Here are our findings. In line with the latest BRC payment statistics, our research found that the majority of Brits prefer to use their cards (58%) over any other form of payment. In fact card payments were substantially more popular than cash, which was the first payment choice of less than a third of us (32%). We found that this shift to cards has created new types of shoppers. We call them “card-first” and “card-only” consumers. Well, when we asked consumers to think of their shopping in an average day, an incredible one in six of them (17%) said they would only use a card to pay. In other words cash has completely disappeared from their day-to-day lives. Another two in five (38%) said they would typically try to pay with a card first before they have to pay with cash. Cards have become not just their preferred method but their default option for paying – the one they turn to straightaway without thinking. Anecdotally, we’ve identified a couple of main reasons for the rise of card-first and card-only consumers. Shoppers find paying by card easier – it’s faster than rummaging around in your pocket, and there’s less hassle about storing a card than individual coins or notes. They also like the fact that cards can be stopped and replaced if they get lost, whereas once you lose cash you can never get it back. Nevertheless, it’s worth remembering that this is still quite a new kind of behaviour. Even as recently as 2013, cash payments made up 53% of our purchases. Now millions of us can’t imagine life without our cards. Whatever happens, it seems highly unlikely that these long-term trends would be reversed and consumers would go back to the days of handfuls of coins. Given how quickly these card-first and card-only shoppers have emerged as a group over the past few years, perhaps it’s no surprise that industry predictions suggest only 27% of purchases will be made by cash in 2025, just eight years away! None of this is to say that cash is dead. But as the popularity of other payment methods grow – and as we have more options for how to pay than ever before, from using our phones to our watches, as well as debit and credit cards – cash is inevitably losing the dominance it once had. That trend shows itself in a couple of different ways in our research. Firstly, we found that it’s less important than it used to be to carry cash on us. Nearly one in three of us (30%) haven’t taken out cash in the last week, whether from an ATM or a bank. Secondly, the amount of cash we carry these days is pretty small. According to our poll, the average person in the UK has £32.54 in cash in their purse or wallet right now. Given that the average transaction in the UK is £18.42, according to the BRC, this isn’t even enough to cover two typical purchases. So what does all of this mean for Britain’s small businesses? Clearly people’s shopping habits are changing incredibly quickly, especially when it comes to payments. And our research found that businesses that don’t adapt are at risk of missing out on valuable sales if they don’t accept cards. More than one in four shoppers (27%) said they haven’t bought something from a shop because it didn’t take cards. And one in five (19%) are less likely to use a business where they can’t pay by card. That’s potentially a huge pool of sales that shops are failing to secure. Many of these missed sales are essentially “silent” – customers might see a “cash-only” sign and not even talk to the seller to let them know they would have paid by card if they could. This might be why 44% of small business owners we surveyed thought they weren’t missing out on sales if they didn’t accept cards. But the fact that one in four shoppers has experienced this feeling suggests they almost certainly are. Consumer attitudes have changed to such an extent that many of them are actually now disappointed or alienated by businesses who don’t accept cards. More than one in four (28%) of us would feel negative towards a business that doesn’t take cards. Nearly one in three (31%) Brits said they are put off by a business that charges people to use cards. Businesses are also at risk of losing customer loyalty and affection if they don’t accept cards. When we asked people what words they would associate with businesses who didn’t accept card payments, more than a quarter said “old-fashioned” (26%) and a fifth said “annoying” (20%). All of this paints a challenging picture for Britain’s small businesses. 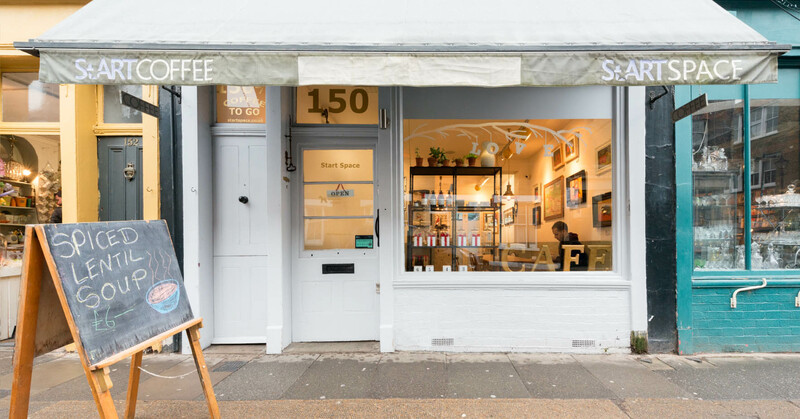 No one knows better than Britain’s small business owners how fiercely competitive the market is today. Busy and demanding customers are always looking for the best deal, great service and options that make their lives as easy as possible. In this context, small firms up and down the UK need every advantage they can get. That means making it as easy as possible for customers to buy from them. Sellers shouldn’t put any barriers in the way of customers spending. Our research found that an incredible 60% of us are more likely to use small businesses in our local area if we could pay by card. That highlights the huge opportunity these companies have to unlock more sales and, potentially, millions of pounds in extra revenue. It’s an exciting chance for Britain’s sellers to grow their businesses. Hear more from UK shoppers on their views about a cashless Britain. *Square carried out research with Kadence in August 2017 on a sample of 200 small business owners.